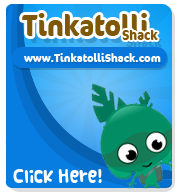 Tinkatolli Tips - Tinkatolli News & Tinkatolli Guides 2013: New unusuals for Dirty! I was online asking kevin for a floppy disk (lol) when he said it's not there anymore. I got confused so I took a look and saw this! Woot! 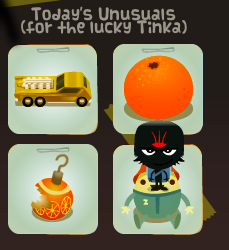 A new egg, the orange is back, and an orange bauble and GoldenRod is here!